The 2013 Mid-America Lenders Conference, held in Oklahoma City this week, was a huge success! Capital CDC participated as a conference sponsor & exhibitor, as well as took part in many of the conference functions. Our team was able to meet and speak with lenders from Region 6, the 5-state region comprised of Texas, New Mexico, Oklahoma, Louisiana, & Arkansas, as well as industry leaders from Washington, D.C. and exhibiting vendors. During the conference awards ceremony, Capital CDC was recognized as the Top 504 Volume Lender in both the Lubbock (West Texas) and San Antonio Districts. Congratulations to all of the lending institutions and individuals recognized at the conference! 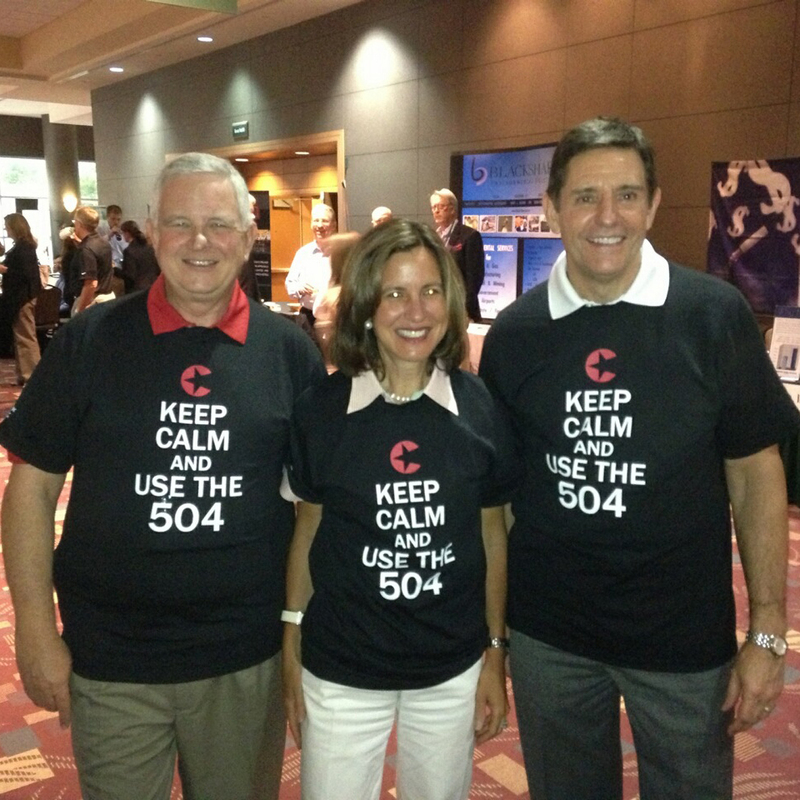 In an effort to promote the use of the SBA 504 Loan Program, Capital CDC rolled out a "KEEP CALM AND USE THE 504" campaign during the conference. We couldn't be happier with the positive feedback we received from everyone at the conference! Beth Solomon, President & CEO of NADCO (National Association of Development Companies) sported her shirt with Capital CDC's Executive Director, Tom Braasch, alongside Harry Leach, Capital CDC's Director of Business Development (pictured). Thank you to everyone who stopped by our booth to pick up a shirt and wore them at MALC. Your support does not go unnoticed! Lastly, we would like to thank everyone at OKAGGL (Oklahoma Association of Government Guaranteed Lenders) for planning and executing a successful event (and for hosting so many Texans!). You guys nailed it!